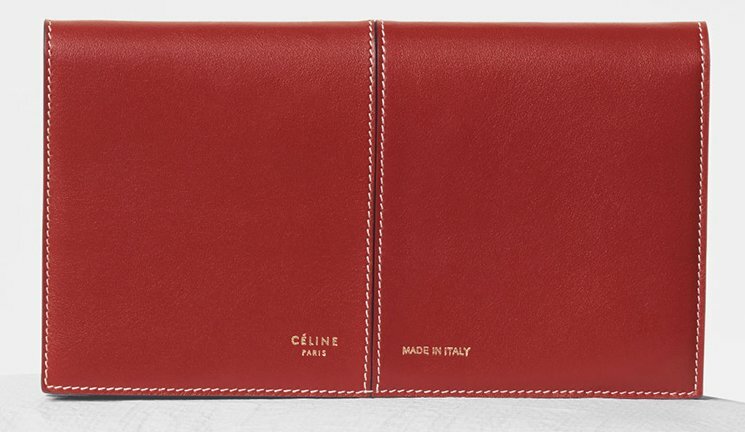 The Large Multifunctional Wallet is the signature wallet of Celine. There are multiple variations created in the past, for example; the Large Multifunction Flap Wallet, the Diagonal Multifunction Large Flap Wallet and the Strap Large Multifunction Wallet. For the Spring 2018 Collection, there is a very attractive version designed. 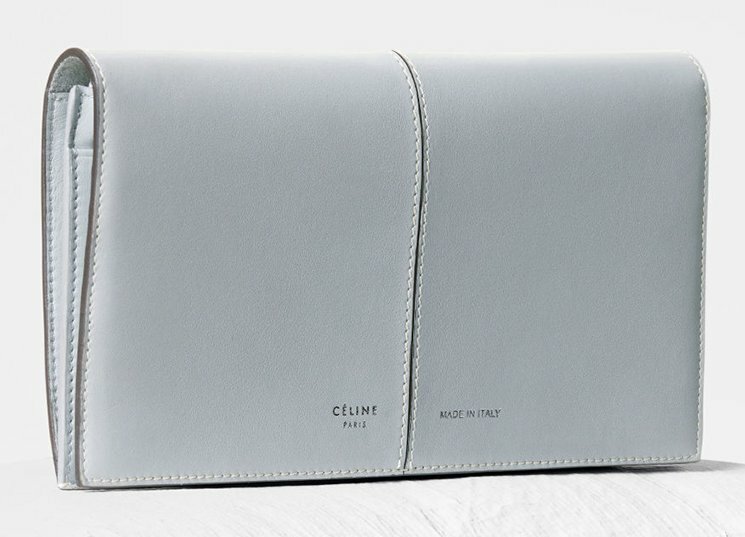 It’s called the Celine Symmetrical Large Multifunction Wallet and we’d like to call this: the ‘minimalistic with a twist’. The Symmetrical Large Multifunction Wallet is clean, streamlined, beautiful, curved and flexible. It fits perfectly into the tradition of this brand, which is minimalism. However, the innocent stripe that cuts right in the center is adding a very captivating twist. It creates a fine line between the left and the right and two symmetrical parts, which also explains its name. 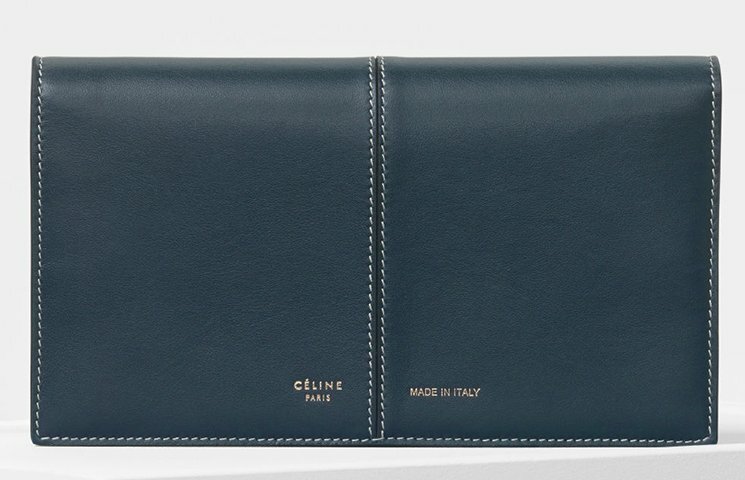 But that’s Celine, it starts with drafting a wallet as simple as possible, then it works from there to find a small twist to add. This tiny little twist will change the overall look of the accessory, just like this center cut. 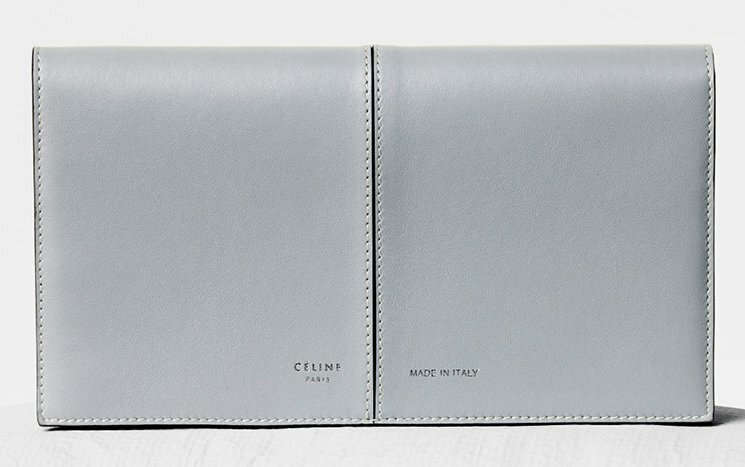 And even the logo is printed in two parts; the left bottom it reads: ‘Celine Paris’ and the right part it reads: ‘Made In Italy’. What’s more? This stunning flap wallet is made from calfskin and the most beautiful part about it is not the exterior but the interior. There is a reason why this beauty is named: ‘multifunction’. The interior is packed with multiple pockets to help you organize your daily necessities. 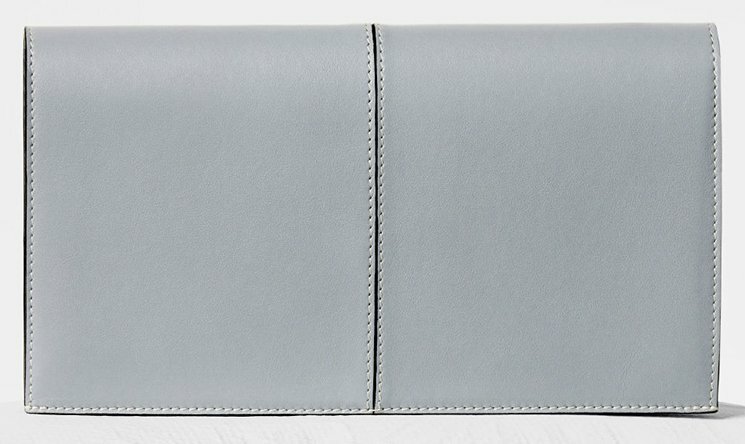 You only need one wallet and the Symmetrical Large Wallet provides all the things you need. Open the wallet with snap buttons. 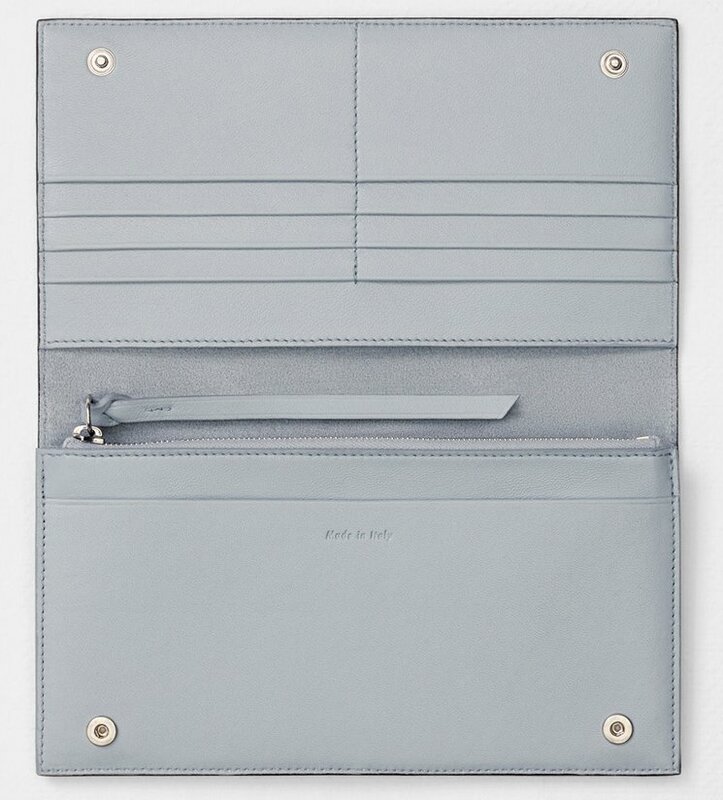 Inside you will find one pocket with gusset, one zipped pocket, two flat pockets and eight credit card slots. Measuring 8’ x 4’ inches, priced at $810 USD, €550 EUR, £510 GBP, $1050 SGD, $6300 HKD, $1000 AUD, ¥88000 JPY, ¥5900 CNY via Celine boutiques.